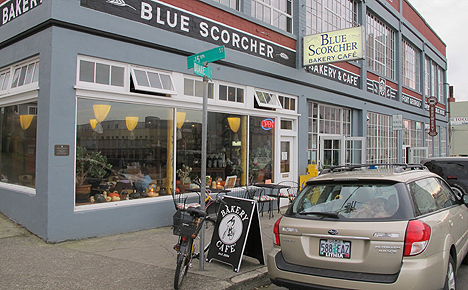 Blue Scorcher Bakery Cafe. 1493 Duane Street, Astoria, OR 97103. Phone: 503-338-7473. Home Baking Company. 2845 Marine Drive, Astoria, OR 97103. Phone: 503-325-4631. Coffee Girl. Pier 39, Building 2, Suite 2A, Astoria, OR 97103. Phone: 503-325-6900. Burger King. 350 Marine Drive, Astoria, OR 97103. Phone: 503-325-4775. Subway. 11 W. Marine Drive, Astoria, OR 97103. Phone: 503-325-3322. Plaza Jalisco. 212 8th Avenue, Astoria, OR 97103. Phone: 503-338-4440. Fort George Brewery + Public House. 1483 Duane Street, Astoria, OR 97103. Phone: 503-325-PINT. Rogue Ale Public House. 100 39th Street (Pier 39), Astoria, OR 97103. Phone: 503-468-0923. Geno's Pizza 'N' Burgers. 3693 Leif Erickson Drive, Astoria, OR 97103. Phone: 503-325-4927. Mr. Fultano's. 620 Olney Avenue, Astoria, OR 967103. Phone: 503-325-2855. Andrew & Steve's. 1196 Marine Drive, Astoria, OR 97103. Phone: 503-325-5762. Baked Alaska. No. 1 12th Street, Astoria, OR 97103. Phone: 503-325-7414. Cafe Uniontown. 218 W. Marine Drive, Astoria, OR 97103. Phone: 503-325-8708. Drina Daisy. 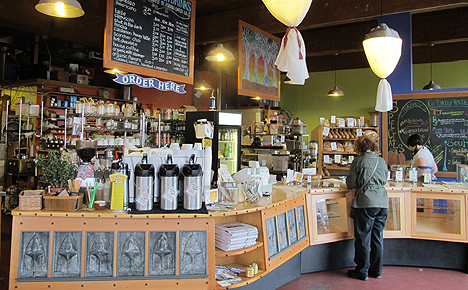 915 Commercial Street, Astoria, OR 97103. Phone: 503-338-2912. Golden Star Restaurant. 599 Bond Street, Astoria, OR 97103. Phone: 503-325-6260. Pig 'N Pancake. 146 West Bond, Astoria, OR 97103. Phone: 503-325-3144. The Ship Inn Restaurant & Pub. 1 2nd Street, Astoria, OR 97103. Phone: 503-325-0033. T. Paul's Urban Cafe. 1119 Commercial Street, Astoria, OR 97103. Phone: 503-338-5133. Uniontown Fish Market Catering & Deli. 229 W. Marine Drive B, Astoria, OR 97103. Phone: 503-325-9592.